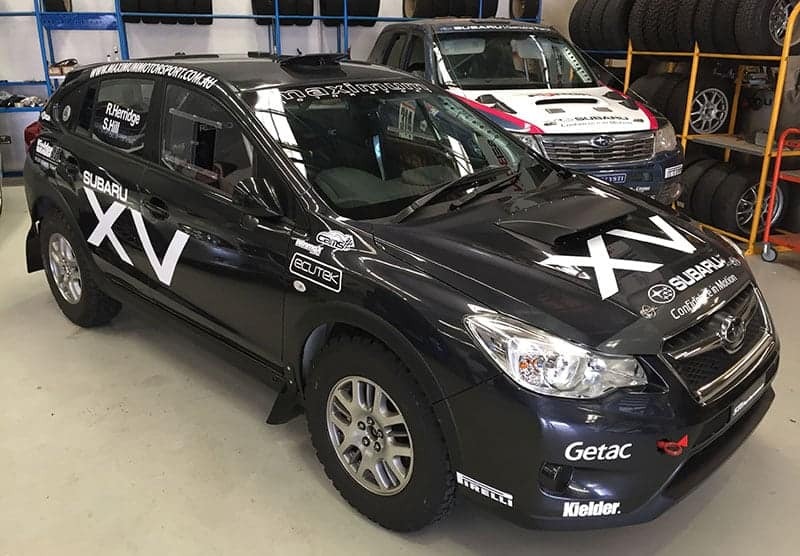 Developed by Maximum Motorsport in Perth, the brand new Subaru XV replaces the Forester XT Herridge has competed in over the last few years. 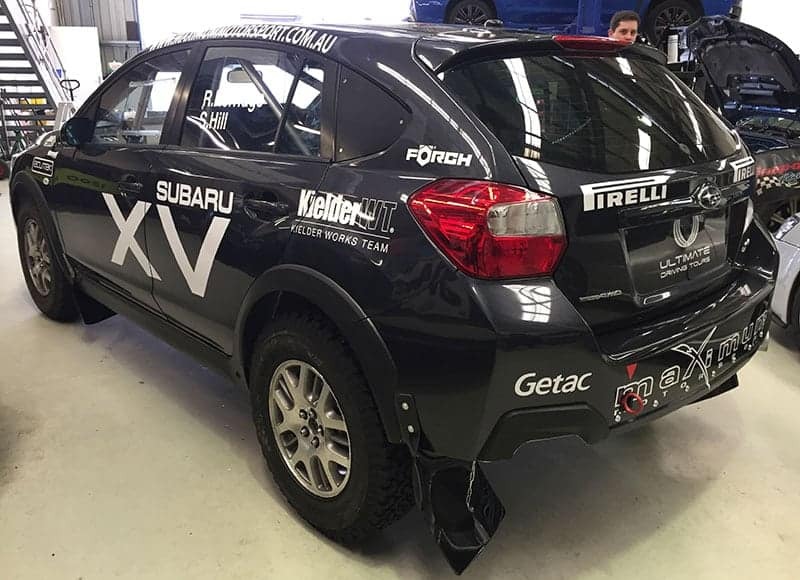 “The XV has been sitting in the workshop for a while now”, commented the two-time Australian rally champion as he oversaw final preparations of the car. Starting with a production Subaru XV, the Maximum Motorsport team has drawn on its years of experience with running Subarus at the highest levels of rallying in Australia. Herridge’s XV features a Subaru 2.0L turbo engine from the WRX STI. “We’ve used as many components from the Subaru family as possible and that has helped us package everything into the car. In fact, things like fitting the Subaru 2.0L turbo engine from the WRX STI into the XV was reasonably straightforward. While entries in the Australasian and Sunraysia Safaris have typically been dominated by much larger 4WD vehicles, the Subaru Forester proved to be a ‘giant-killer’ in the hands of the experienced Herridge. He and the Forester achieved podium and top-5 outright finishes in the Australasian Safari, and held the outright lead in the Sunraysia Safari until engine problems forced them to retire at the end of the penultimate day of last years event. 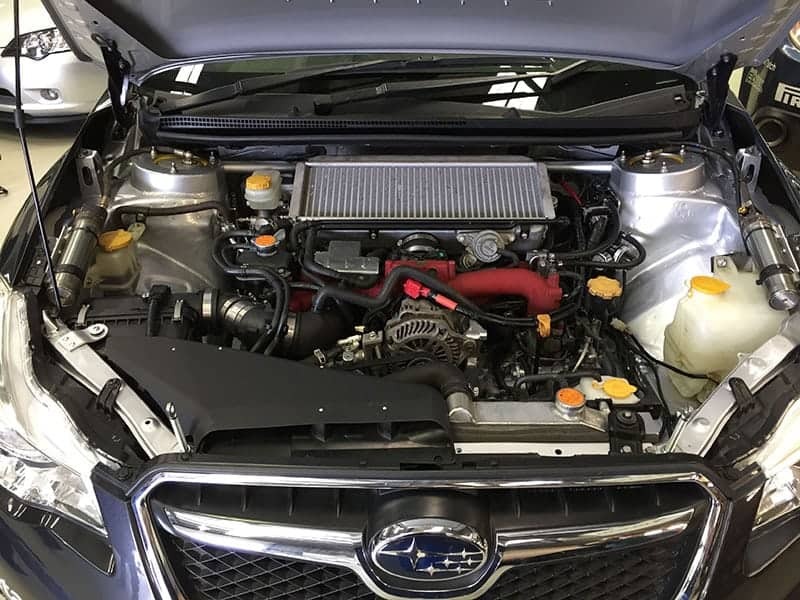 “The Forester has proven to be a great car and having completed four Australasian Safaris and leading last year’s Sunraysia Safari, it has shown that the Subaru Symmetrical AWD concept is competitive in these harsh conditions. The Sunraysia Safari begins on Tuesday August 7, and is contested over five days using tracks in and around the Wentworth Shire in outback NSW.